Pantalla de la bomba de combustible de Audi A3 8 p 3.2 flotador 1K0919673T BDB BMJ BUB. Motor código: BDB / BMJ / BUB. A3 / S3 8 P 2004-2007. Vendido bomba de combustible. Todavía hay muchas más partes de Audi en la acción. Bomba de combustible AUDI A3 8L 1J0919087S 1.6 gasolina 75kw NUEVO GENUINO. Título - Bomba de combustible AUDI A3 8L 1J0919087S 1.6 Gasolina 75kw NUEVO GENUINO. Manufacturer Part Number 1J0919087S. Todas nuestras piezas serán enviadas dentro de 10 días hábiles. Bomba de combustible eléctrica AUDI A3 8P 1J0919050 NUEVO GENUINE 2.0 Diesel. Título - AUDI A3 8P Bomba de combustible eléctrica 1J0919050 NUEVO GENUINE 2.0 Diesel. Manufacturer Part Number 1J0919050. Bomba de combustible eléctrica AUDI A3 8P 1J0919050A NUEVO GENUINE 2.0 Diesel 1.9Diesel. Título - Bomba de combustible eléctrica AUDI A3 8P 1J0919050A NUEVO GENUINE 2.0 Diesel 1.9Diesel. Manufacturer Part Number 1J0919050A. Bomba de combustible eléctrica AUDI A3 8L 1J0919051K 1.6 gasolina 75kw NUEVO GENUINO. Título - AUDI A3 8L Bomba eléctrica de combustible 1J0919051K 1.6 Gasolina 75kw NUEVO GENUINO. Manufacturer Part Number 1J0919051K. Reference OE/OEM Number AUDI A3 2.0 TDI 1K0919050D FUEL PUMP. Other Part Number AUDI 1K0919050D. Other Part Number 1K0919050D. Vehículo donante: Audi A3 2.0 tdi, 140bhp / S-Line. UNIDAD DE BOMBA DE COMBUSTIBLE / REMITENTE. Bomba de combustible AUDI A3 8L 1J0919087J 1.8 Gasolina 110KW NUEVO GENUINE. Título - Bomba de combustible AUDI A3 8L 1J0919087J 1.8 Gasolina 110KW NUEVO GENUINE. Manufacturer Part Number 1J0919087J. Todas nuestras piezas serán enviadas dentro de 10 días hábiles. Audi A3 8p Sport 2.0 TDi 3 door hatchback 2005. Tank fuel pump and sender. -All the parts are from UK which are RHD vehicles, we can not promise that the parts will fit LHD vehicle. - This does not include Scottish Highlands and Islands, Ireland, and North Ireland. REMOVED FROM AUDI A3 8P1 1.8 TFSI,5 DOORS,2008 YEARS,161 BHP,6 SPEED MANUAL GEARBOX JWX,ENGINE CODE BZB,PAINT CODE LX7W SILVER. (Taken from: 2008 AUDI A3 1.9 TDI BXE, BLACK LZ9Y, 5 SPEED GEARBOX JCR, SPORTBACK). YOU WILL FIND MORE INFORMATION ABOVE. DISPATCH PARCELS. 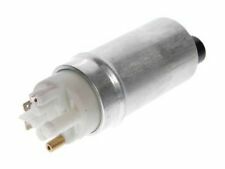 IN TANK FUEL SENDER PUMP IJO 919 051 H. 1.6 PETROL 98 - 03. Part Number : 1K0919050B 228235013002. AUDI A3 8P 2.0 TDI BKD. Donor Car: AUDI A3 8P 2.0 TDI. IN TANK FUEL PUMP SENDER UNIT. From 2004 > 2010. Reg : 2004. Part is taken out from. See in Pics. AUDI A3 SPORT 1.9TDI PD 2004 3DR BKC INTANK FUEL PUMP AND SENDER UNIT 1K0919050. 1K0919051N / 1K0 919 051 N. 1K0919051AM & 1K0919051BE & 1K0919051N. VW Golf 2004 - 2005 & Audi A3 / S3 2004 - 2008. Manufactures Part Number Collection on all parts is possible during work hours which are. REMOVED FROM AUDI A3 8P 2.0 FSI PETROL,3 DOORS,2003 YEARS,150 BHP,6 SPEED MANUAL GEARBOX GLB,ENGINE CODE AXW,PAINT CODE LZ7L GREY. MY AIM IS TO MAKE SURE YOU ARE ALWAYS 100% HAPPY! IN WORKING CONDITION AS SHOWN IN THE PICTURES ABOVE. Part Number : 1K0919050B 228235013002. AUDI A3 8P 2.0 TDI BKD. Donor Car: AUDI A3 8P 2.0 TDI. IN TANK FUEL PUMP SENDER UNIT. Part is taken out from. See in Pics. confirm yourself that the item is what you require. RADIO/STEREOS ARE TESTED AND ARE FULLY FUNCTIONAL. Removed from a 2008 Audi A3 2.0 138Bhp - 5 Door Hatchback - Diesel - 6 Speed Sequential Automatic - Engine Code BKD. Fuel Tank Sender and Pump Unit. A3 2003 To 2008. “Great Bridge Parts” has high reputation for both quality and service and believes itself to be the market leader in vehicle recycling in West Midlands. PART NUMBER: 1K0919673AC. AUDI A3 MK2 8P VW GOLF MK5 R32 3.2 V6 IN TANK FUEL LEVEL SENDER UNIT IN GOOD USED CONDITION. 1K0919050B / 1K0 919 050 B. Audi A3 / S3 2004 - 2007. Manufactures Part Number Collection on all parts is possible during work hours which are VIN Number Item Heading Item Condition. MODEL: AUDI A3 8P 2.0L FSI 2004 3 DOOR-. -FUEL TYPE: PETROL-. The part will usually fit more than one make and model of vehicle. -INTERIOR CODE COLOUR: INDIGO BLUE-. -PAINT COLOUR: KRYSTALL/CRYSTAL BLUE-. P/N: 1K0919051DA. 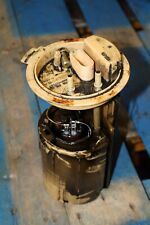 08-12 AUDI A3 8P 1.6 PETROL IN TANK FUEL PUMP SENDER UNIT. 2012 AUDI A3 8P. 1.6 PETROL. 1K0919051J, 228235029002. 2.0 PETROL FSI MANUAL. PART NUM BER - 1K0919050J. AUDI A3 S LINE 1.6 LITRE DIESEL 2011 MODEL. IN TANK FUEL SENDER UNIT. P AINT CODE - GREY. 5 DOOR HATCHBACK 5 SPEED MANUAL. 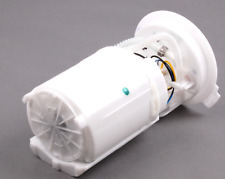 Audi A3 S3 8P Fuel Sender Unit Quattro. Donor Car: 2004 Audi A3 8P Sportback 2000cc Quattro Sport. The New and Used Audi Parts Specialist for all Audi models worldwide. Audi Part Number: 1K0 919 673 AD. Part No: 1K0919051H. AUDI A3 2003-2008. FUEL SENDER UNIT. You are signing to say you have received the item(s) in good condition. Channel Islands. Will ask for proof/invoice of work done by specialist in cases of claims. USED PART so do not expect IDEAL AS NEW. I reserve the right to send the parts that are not always in the picture. Audi A3 S3 8P Fuel Sender Unit Quattro. Donor Car: 2005 Audi A3 8P Sportback 2000cc Quattro. The New and Used Audi Parts Specialist for all Audi models worldwide. Audi Part Number: 1K0 919 673 N. It may fit others.